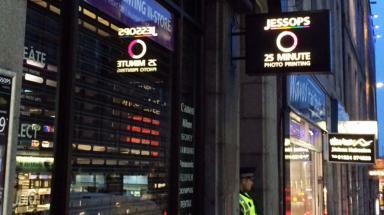 The theft took place at a Jessops shop in Aberdeen on Monday night. Three men have appeared in court in connection with a late night raid on a camera shop in which 50,000 worth of gear was stolen. Police said the theft was carried out between 12am and 3am on Monday at the Jessops photography store in Aberdeen city centre. Officers estimate that around 50,000 worth of electrical equipment was taken during the break-in. Thomas Day, 39, from Liverpool, appeared at the city's sheriff court on Wednesday charged with theft by housebreaking. He made no plea and no declaration and was released on bail. On Tuesday another man from Liverpool, 37-year-old John Davies, also appeared in connection with the incident. He and his co-accused John Murphy, 31, from Aberdeen, also made no plea and no declaration to the theft by housebreaking charge and were released on bail. All three men are to appear in court again at a later date. 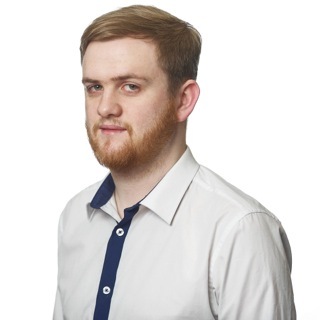 The Procurator Fiscal also received a report concerning a 36-year-old male. He did not appear in court but the report remains under consideration by prosecutors. Some of the stolen property has been recovered. However police are appealing for anyone who may have been offered electrical items or cameras for sale to get in contact. Anyone with information that could help is asked to contact Police Scotland on 101.